Well… that’s the first time in a long time I’ve put my camera away on the descent because I was scared the elements would destroy it. Hoping to find a huge dump of snow around the 7.5k to 10k foot range on Mt Hood this past weekend, we instead found a torrential downpour. We made the best of it, braved the elements and had a great time. Thanks Eric Han and Kristian Gamiao for embracing the elements and getting the footage we could. This does make you think tho… possibly even make you worried. Last year was the warmest year on record. Is this the fate of the PNW, will our winters really stay this warm and will our love for winter recreation slowly dwindle away. I sure hope not, but only we can contribute and help reverse the affects we’ve caused. Jeff Snyder finding some untracked pow stashes on Bennett Pass, Mt. Hood. It felt so great to break in the new year with some mellow touring on Mt. 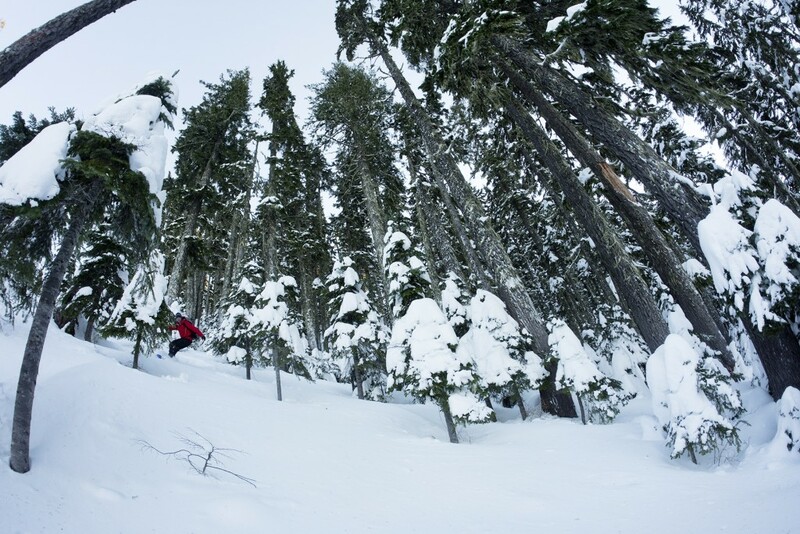 Hood and enjoying some knee deep powder tree runs. Looking forward to what 2015 brings!